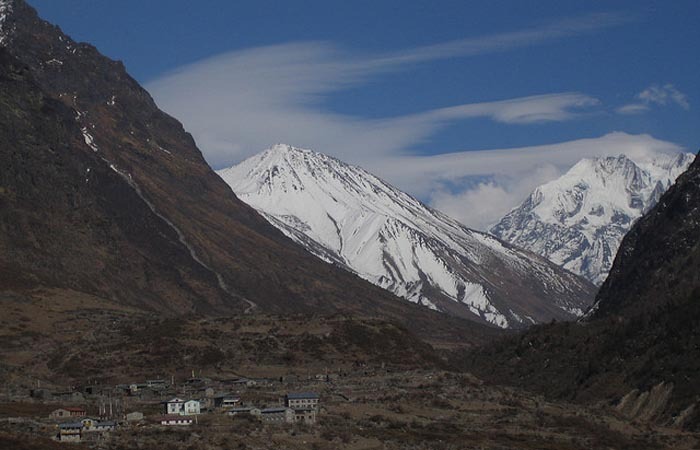 Self exploration is what Langtang trekking is all about. 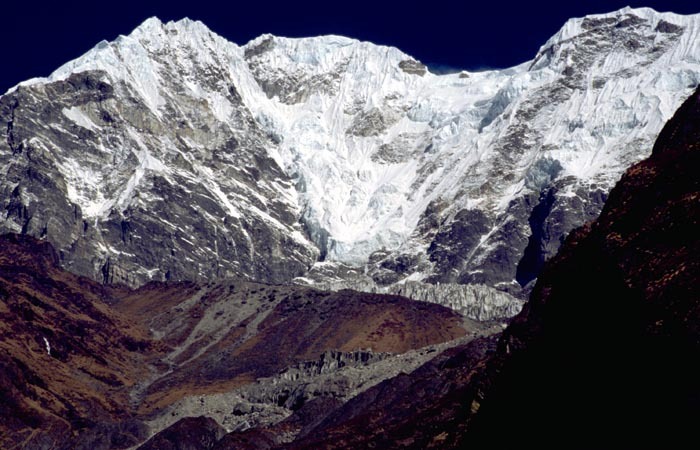 It is a must trek if you are a die-hard trekker and specially, if it is to the Langtang glacier. 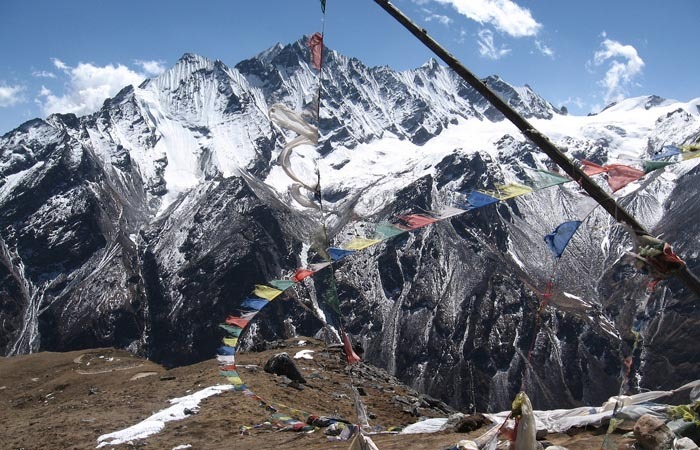 The Langtang trekking, itself can be accomplish in a week’s time but your heart will not stop at that. That is if you want to explore the valley. 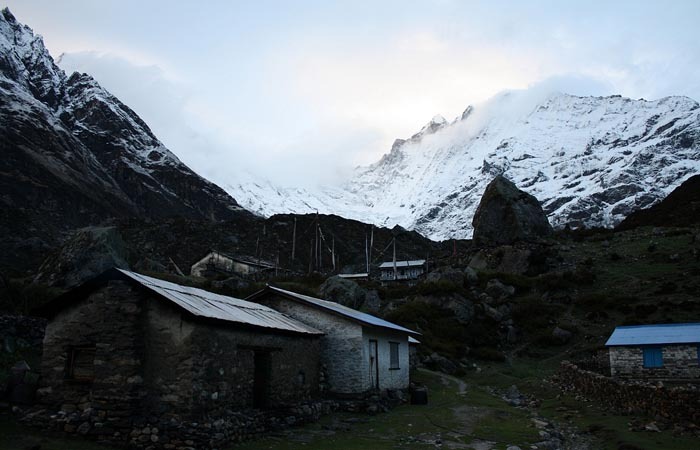 The trek begins, where you are set to be captivated by the destructive feat of engineering of the road that leads you to the lead and zinc mines of Ganesh Himal. 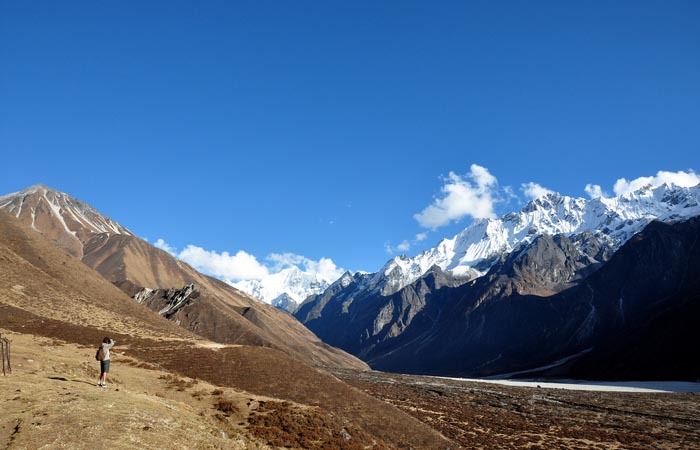 Then there is the unforgiving valley of the Trisuli River that diverts your way to the Langtang Valley. Two days of yours is spent in briskly climbing the gorge of the lower valley that are clustered with oak and rhododendron treks, to suddenly emerge from you ascend to picturesque scenes of old moraine and snow capped peaks. 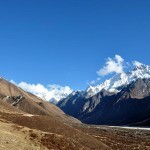 It is a spectacular view of a U-shaped glacial valley. In the season of spring, it is a massive bed of seasonal flowers and autumn of barberry bushes which taken on a rustic colour. 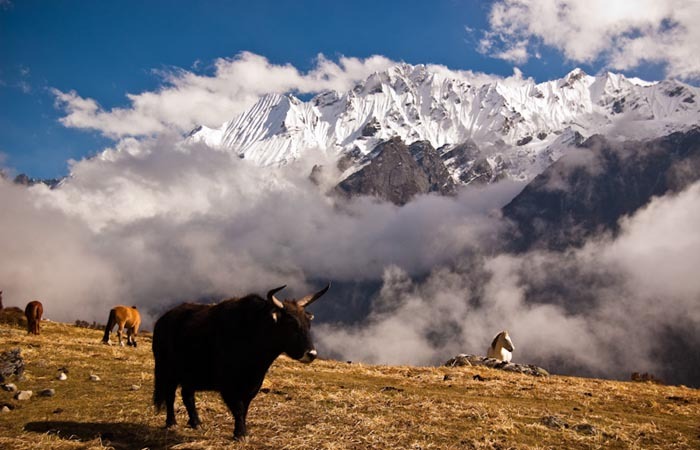 The upper valley has two Bhotiyas villages in the Langtang region – the first where you get to acclimatize which is at 3,300m and the second, known as Kyanjin at 3,750m that is proud to show off their Gompa and along with it; a cheese factory and chalet lodge. 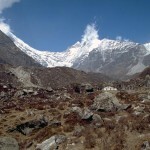 Then, there is Tsergo Ri (Ri small hill) at 5,033m where you get to climb and also to explore the upper valley glaciers. 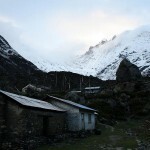 One gets the serenity of white wilderness of peaks and specially that of the 8,013m Shisha Pangma. 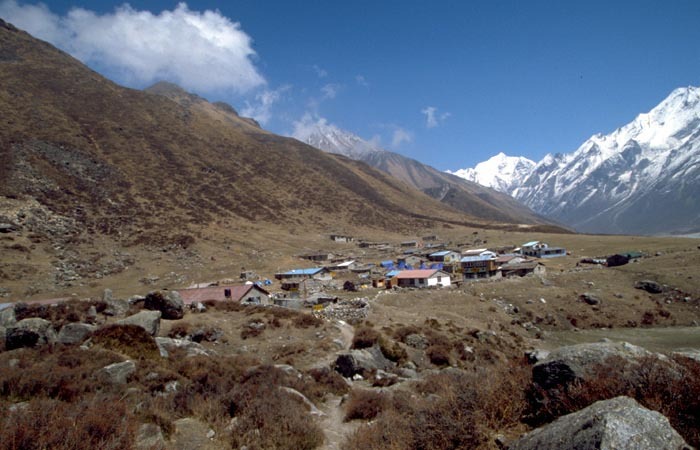 Your trek to Langtang begins after having reached Syabrubesi from Kathmandu by bus. 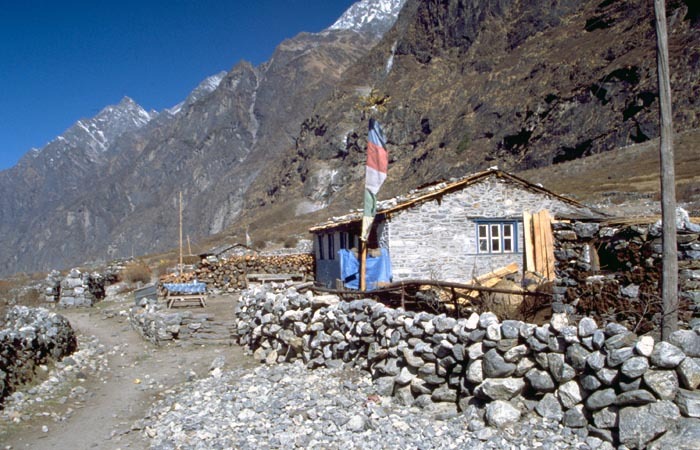 Your first stop for the night is at Lama Hotel, from where the next stop over is at Langtang, then you are truly in the region. 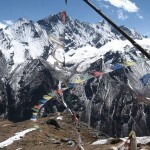 The following day we hit the trail for Kyungjin which is at an elevation of 3798 m. Here we get to to acclimatise and to do a short climb to the summit of Tsergo Ri where one gets the scintillating panoramic view of the Himalayan peaks in the vicinity. 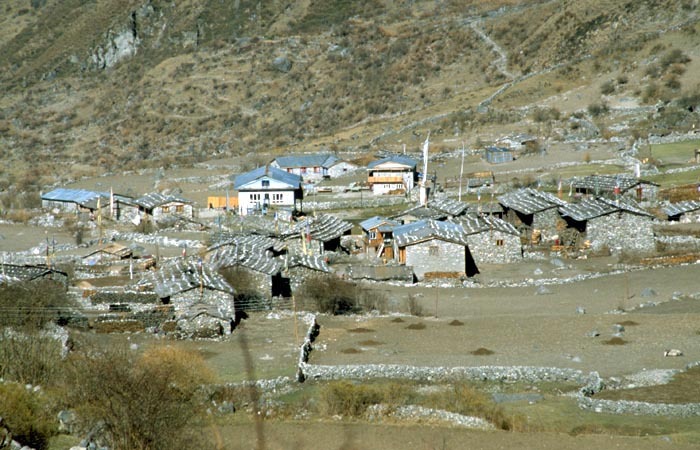 From Kyungjin it is back to Lama Hotel but not home as yet, as now, our hike takes you to Thulo Syabru from where the next stop for the night is Sing Gompa; we get a taste of Buddhist culture first hand. 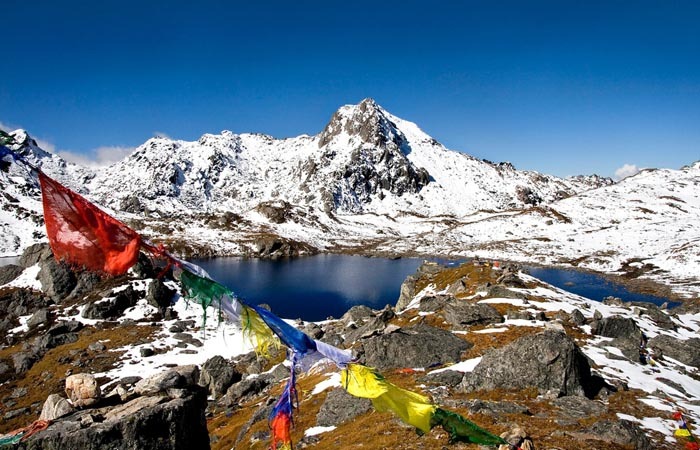 Now we hit the road on foot for Gosainkund that is at a height of 4380 m and houses a freshwater lake and is also a holy area for the Hindus, as it is said to have been the dwelling place of Lord Shiva and his spouse. 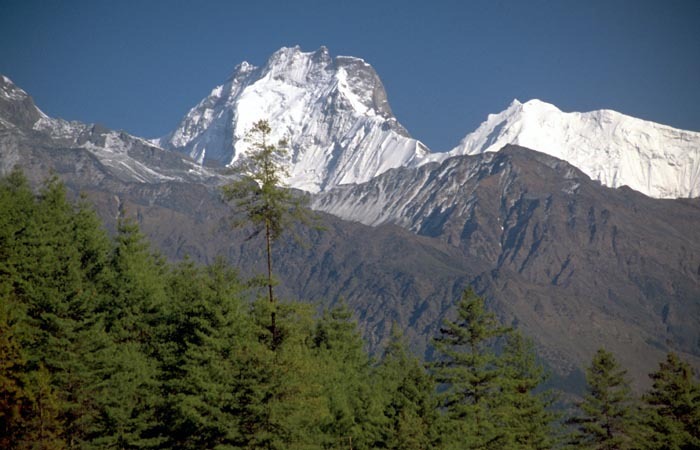 The following four day’s hike takes us to Sundarijal which is on the edge of Kathmandu in the vicinity of the Shivapuri forest area after having stopped at Gopte 3440 m, Mangan Kharka, Gulphu Bhanjyang 2125 m and Chisopani (translates to cool water in the local language). 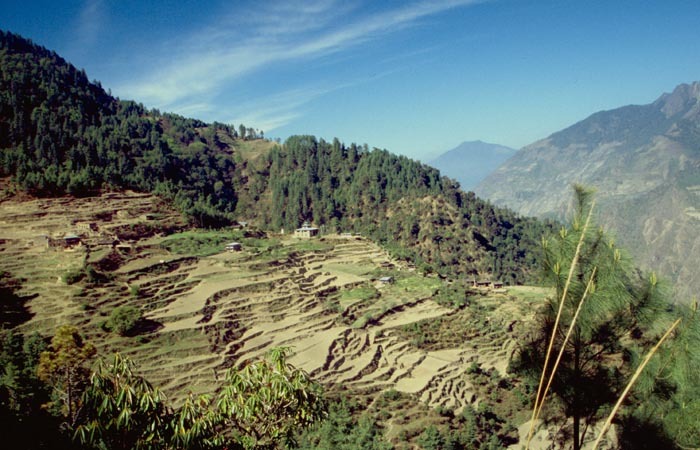 From Sundarijal, it is a short bus ride back to your hotel. 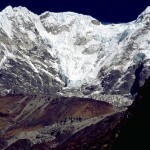 We begin our journey by bus heading in the northwest direction reaching Karkani and then heading down to the Trishuli River. 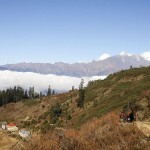 On arrive at Trishuli Bazaar, we halt for lunch and then finally head for Dhunche and then Syabrubesi. O/N stay at lodge. 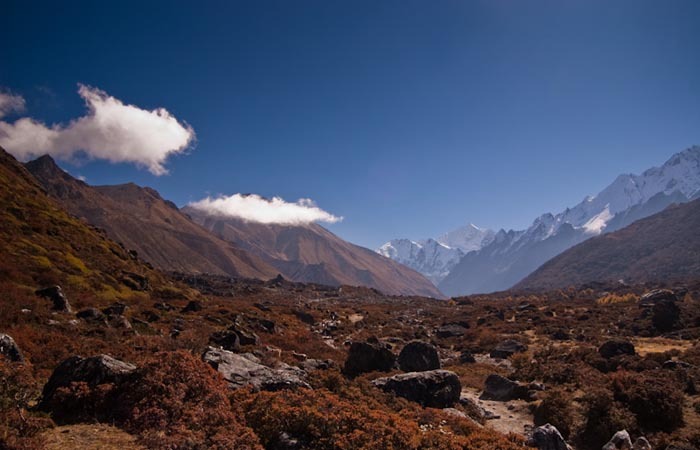 We start the trek in earnest along the Langtang stream through thick forest. 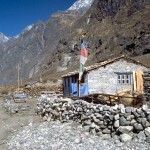 After several locally made bridges and tea houses with a number of ascend and descend, we reach Lama Hotel; famed for giving reprieved to trekkers which built a small hamlet. 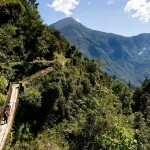 The day’s trek commences through the dense forest of the previous day and the numerous climbs and descends. 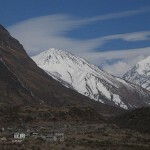 On entering clear space the scintillating view of the Langtang peak comes into sight. 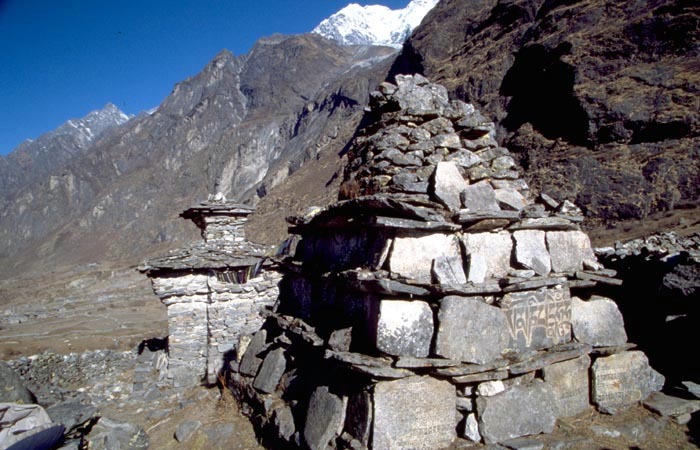 Here the ground is more opened and sights of water mills, chortens, prayer wheels and mounts of sacred rocks become apparent. On leaving the village, we head past yak pastures and massive mani walls with prayers in Nepali inscribed on them. Crossing a number of bridges, we find the air getting thinner. 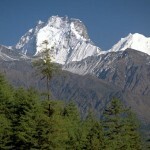 We finally get to Kyangjin with the Himalayan on four sides. 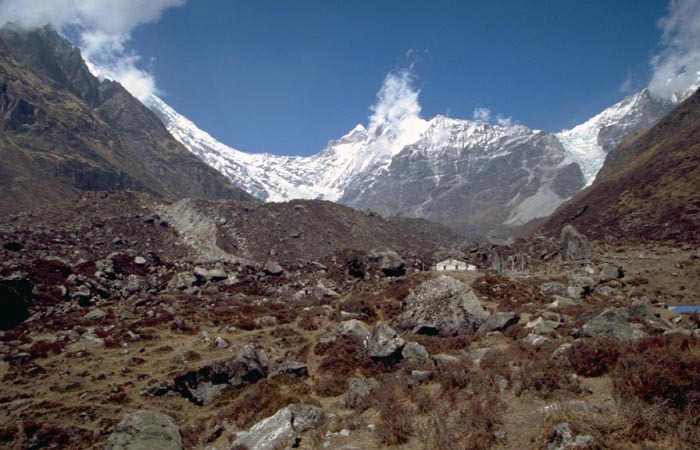 Today we rest to get use to the altitude we are in with a short climb to Thergo Ri (5000m) Ri in the local dialect means small mount, giving you a pictorial view of the surroundings. 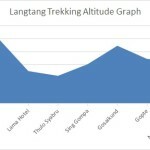 We retrace our footsteps all the way back to Lama Hotel which will seem short as now most of the hike would be mostly downhill. We again retrace part of the trek back to Syabrubesi and along the way, before Doman we divert way to U Kyang and along a circuit trail get to Thulo Syabru. 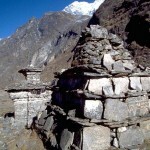 Following in the southern direction, we first get to Gursagang and then onto Danda. 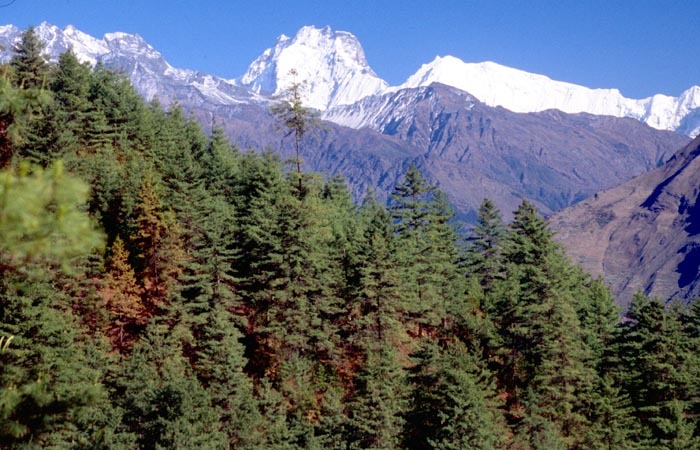 Via forest of varies flora and fauna and hopping across a number streams and finally on a eastern turn we get to Sing Gompa, on the edge of a ridge in an area of dead forest. 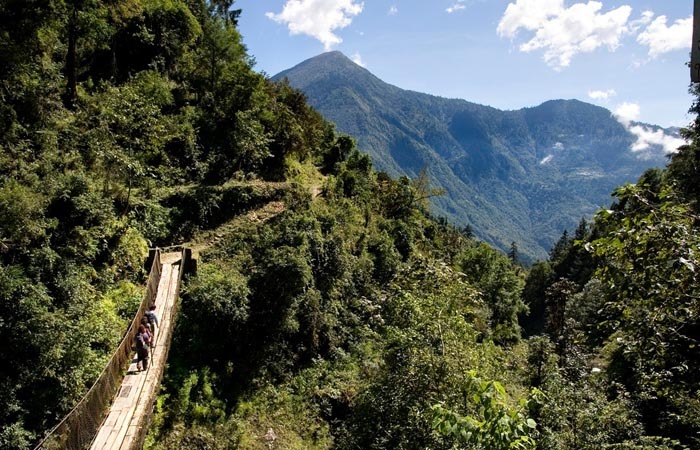 The day’s hike takes us up a number of ridges with views of scrubs and low vegetation on the slop, the trail gives way to a deep forest and emerges at Chalang Pati (3650m). 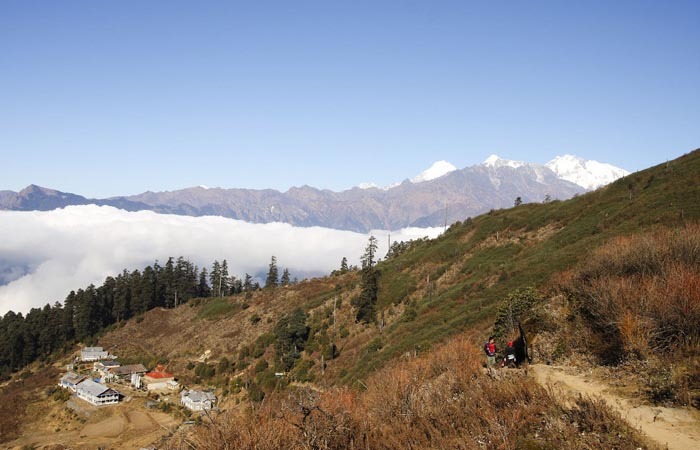 Ascending through fabulous view of the Langtang Valley, we touch Laurebina from where the trail ascend and then starts the climb first to Saraswati Kund, Bhairav Kund; famed for its Hindu shrines and the onto Gosaikund; a holy pilgrim site for Hindus. 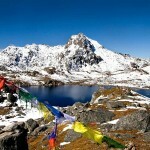 The day’s trek moves around the Gosainkund Lake and via rugged terrain to a pass and then crosses moraines. Passing through Laurebina La, Phedi and Dupi Chaur (3630m), we finally get to Gopte, from where the outline of Kathmandu come into view. The trek takes off up and down a number of descends past moraines, ravines and boulders to Tharepati on a ridge (3640m) and the descending down to Mangan Kharka after a couple of hours. 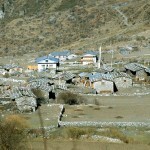 Descending and walking in reverse, we first get to Panghu, Khutumsang and finally to Gul Bhanjyang. 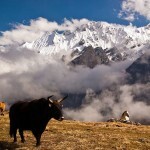 It does not take much in this trek as it is practically downhill with a few ascends, but the views is breathtaking all the way to Chisopani (cool water in the local dialect). 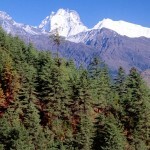 We finally trek to Sundarijal as the sight of Kathmandu comes more and more in view through the Shivapuri Forest reserve. From here it is a one hour drive through the traffic of Kathmandu and onto a hotel for rest.